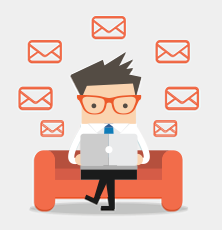 How personalised is your content? "Hey Marc, this ad is REAL." This is the slogan for the campaign launched by Lamar Advertising targeting Procter & Gamble's chief brand officer Marc Pritchard. The campaign was in response to Pritchard's announcement outlining P&G's plans to fight ad fraud and their broader strategy to regulate a messy digital landscape. Whilst the sole focus and target audience for this campaign was directed at Pritchard, total website views were up over 30,000 visitors across the course of the campaign. Utilising content to similar effect, there is a clear opportunity to refine your audience (even to the extent where you are focusing on one individual). Often the advice we give to professionals in our network would be relevant and helpful to others. In doing so, you can quickly tell another overstretched professional something they didn’t know, or give them an expert perspective that is of genuine value. Furthermore, having read David Kirk's post this morning identifying that authentic and personalised content is critical to driving business growth* - it becomes less about communicating your insights to the masses, but rather educating your audience with relevant and timely content. *94% of senior-level executives believe delivering personalization is critical or important to reaching customers according to PwC. In response to his statements, Lamar Advertising – an out-of-home company that provides ad space on billboards, bus shelters and the like – has launched a clever self-promotional campaign that has a target audience of one: Marc Pritchard. 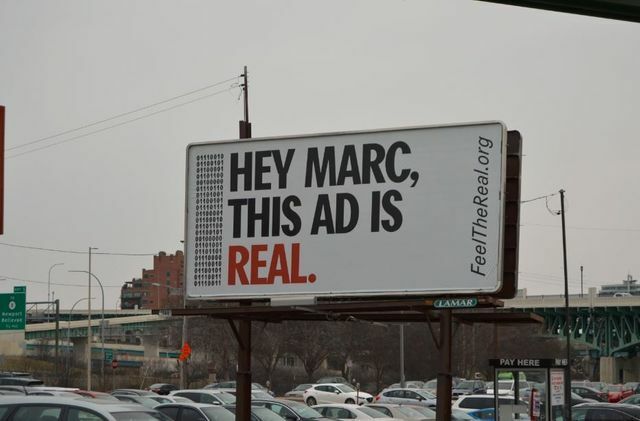 By putting up billboards around P&G’s Cincinnati headquarters that say “Hey Marc, This Ad Is Real,” the company is hoping that Pritchard will reevaluate the effectiveness of out-of-home advertising – particularly in light of the many headaches that digital media has brought along with it.